Completed applications for the industry’s flagship leadership development program are due by 1:00 pm (Eastern), March 5, 2019. For more information or to apply online, please visit www.wictbmli.org. Washington, DC – Women in Cable Telecommunications (WICT) announced today applications will be accepted for the Betsy Magness Leadership Institute’s (BMLI) Classes 40 & 41 now through Tuesday, March 5, 2019. For more information or to apply online, please visit www.wictbmli.org. Named in honor of Betsy Magness, who played an instrumental role in building TCI into one of the most prominent and influential telecommunications companies in the industry, BMLI serves as the gold standard in leadership development programs. 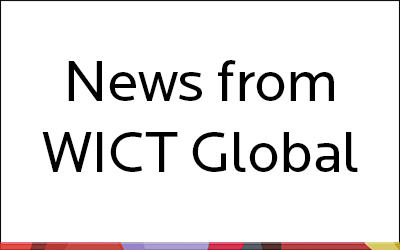 In 2019, WICT will celebrate the program’s 25th anniversary. BMLI is produced in conjunction with renowned content leaders, the Center for Creative Leadership. Accepted participants are immersed in an educational program emphasizing core leadership skills which include driving and implementing change, communication effectiveness, navigating career challenges, creating engagement, driving results, and executing organizational vision. Since its inception in 1994, more than 950 women have graduated from the program. The alumnae comprise the upper echelon of women leaders in media, and they continue to be actively involved in transforming their companies and the industry at the executive level. Established by WICT in 1994 with a generous grant from TCI’s Bob Magness and J.C. Sparkman, the Betsy Magness Leadership Institute is named in honor of one of the industry’s most charismatic leaders, a cable pioneer who combined business acumen with compassion. Betsy Magness was instrumental in transforming TCI, later AT&T Broadband and Internet Services, and now Comcast NBCUniversal, into one of the nation’s most prominent and influential media companies. WICT’s mission is to create women leaders who transform our industry. We do this by providing unparalleled professional development programs, commissioning original gender research, and supporting a B2B network that helps advance women. For nearly 40 years, WICT has partnered with cable and technology companies to help build a more robust pipeline of women leaders. Founded in 1979, and now over 10,500 members strong, WICT is the largest and oldest professional association serving women in cable media. Charter Communications and Comcast NBCUniversal are WICT’s Strategic Touchstone Partners. Please visit www.wict.org or follow @WICTHQ on Twitter for more information.